Cheerleading is a school-sanctioned activity that frequently results in serious – and expensive – injuries. In fact, it is second only to gymnastics in the proportion of injuries requiring at least a three-week break from the sport due to injuries. 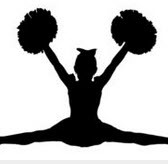 With over 400,000 cheer participants annually, it is clear that the number of injuries suffered is extensive. The most frequent injury diagnosis for cheerleaders is a concussion, making up about one-third of injuries associated with the sport. Additional injuries include sprains and strains of muscles and ligaments, as well as fractures. The majority of injuries occurred with male cheerleaders, who were hit with elbows or knees of their female counterparts during stunts. Even so, females experience more than half of all catastrophic injuries among female athletes, including injuries to the cervical spine, brain injuries, paralysis, and even death. Experts say the combined necessity of precision, strength and endurance often culminate in these serious injuries. Also notable is the fact that the majority of these injuries occur during practice, before skills are learned and perfected. Program oversight by experienced athletic administrators. Conversely, obtaining that sport designation also carries some disadvantages. One significant issue is that cheer moves from a sideline activity—cheering for other sports—to a competitive activity. With competition comes the expectation that more difficult skills will be performed with much greater intensity. In a school setting, those more complex and difficult stunts could involve students of varying experience relying on one another. Injuries become inevitable. Although coaches do not intentionally put their cheerleaders at risk, sometimes they may not understand the physical risks involved in the stunts they ask of their squads. They may become so hungry for the win at a cheer competition that they push students beyond their capabilities. Parents may simultaneously feel pride in the astonishing accomplishments of the cheer squad, and fear as they observe their children “stunt up.” Although high school cheer regulations become more stringent with time, parents often feel pressure to keep quiet about any reservations they have about the cheer stunts until it is too late. Has your loved one suffered a devastating injury due to cheerleading stunts? If so, an experienced personal injury attorney can help you navigate through the insurance and legal systems to get the financial help you need and deserve. Contact the compassionate, aggressive legal team at the Law Offices of Robert W. Elton in Daytona and Ormond Beach today for a free, confidential consultation.